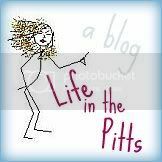 Life in the Pitts: Exasperated. Let's talk about skin. Mine's awful. It's oily, and 'acne-prone' doesn't even begin to cover it. You know what else doesn't cover it? Makeup. No matter how much skin-colored stuff I paint on, you can still see what I'm trying to hide. I'm bringing this up because The Stories of A to Z hosted an awesome link party last week, called Get Your Face On. Maybe you saw it? A whole bunch of beautiful, brave ladies bared their faces and showed Before and After pictures of them getting ready in the morning. We're talking uncensored, real pictures of their naked faces. Then they gave their best beauty tips. I didn't participate. And I'm mad about it. Because even after 13 years of dealing with acne, I am still too embarrassed to be seen without my makeup on. I've never had clear skin. Not since I was 12. And it defined my life. Which is stupid because, really? Who cares whether you have red spots on your face. It is definitely not something worth agonizing about. I say this easily, but of course I don't really believe it. There is a huge um, tiny part of my brain that thinks if I forget my foundation, people will stop and stare in horror on the street, my family will avoid me, and all of my Facebook friends will unfriend me. Then I'll die childless and alone. I assumed it would go away once I turned 18, and so I endured it (with extreme embarrassment). This was just some kind of cruel, twisted right of passage. And in the end, I'd emerge like a butterfly from a cocoon, become an elegant swan, etc. etc. Right? But that didn't happen. Now I'm 25 (almost), and I'm worried that I'll soon be fighting acne and wrinkles. You guys, I have a reoccurring nightmare about asking my grandchildren if I can borrow their pimple cream. Well ok, that might be a lie. But now that I've written it, I probably WILL dream about it. Nice job, Helena. At some point in the past 13 years I've tried every department store/infomercial/totally-awesome-home-remedy out there. I've done hours of research, changed my diet, changed my makeup (liquid, powder, mineral, etc), and used dozens of moisturizers. I've used toothpaste, people. I even went to a dermatologist and did the prescription thing. I feel like the only thing left is hard-core prescriptions- you know, the kind that if you get pregnant while using them, legally you must abort the baby. And at this stage in my life, I'm not risking it. I know, dumb question. I'm sure a lot of you are. What are you doing to fight it/cope with it? Any words of advice/encouragement? Or would you just like to gloat about your perfect skin? Any and all feedback will be welcomed (and mildly censored). I had a slight acne problem when I was in junior high, but it has cleared up since then. However, I really sympathize with you in the sense that my hair is extremely irritating. It's so curly and dry and I've tried EVERYTHING! When I used to straighten it with a relaxer, the process took about 4 hours from beginning to end. Between relaxers, it takes about 2 1/2 to 3 hours. Now that I have 2 little ones, I just don't have that kind of time. As far as the acne, I've heard some people get on the pill just for that reason. I don't know if it worked or not, but it may be something you could look into (that is unless you want a child soon!) Anyway, I wish you luck in finding something that works for you! Hey! I'm a new blogger, and found your blog through TGC. You're a great writer, and I'm SO sorry you're bummed by this whole acne thing. I get really bad skin issues about once a month, and I use toner (the alcohol smelling substance...) that Lancome makes. It clears them up within a day or two, and within that time it's usually easily covered by make-up. I wish you luck!! And remember -there's NO record of anyone dying childless and alone because of skin issues. You are a beautiful person Helena, on the inside, and out. I'm not just saying that cause you're my sister. It's true. Also I think you're being too hard on yourself. You're beautiful. I honestly didn't know that you have a problem with acne. All the time I've know you I thought you have very nice skin. And so you don't feel alone I still have problems with acne and I have gray hair to boot. I never thought those two things could occur together. its posting my comment like 3 times...wierd. ugh, i hear you girl. i've had the same problem since the same age and keep hoping and hoping it will one day disappear... i've done every cleanser/proactive/not to mention about 6 different antibiotics (minocyclin, tetracyclin, benzamycin, doxycyclin...) AND accutane. which was the worst of all and after 3 months i had to quit. it only got worse and worse and so bad that i had to be on steroids to make it better and i finally just gave up. the only thing that finally made my skin WAY better was doing the clinique 3 step system- it's customized to your skin type. religiously. and birth control. that helped a ton too. but i just went off birth control and am terrified it will get worse again, so i'm hoping it really cleared up with clinique alone. i hear by mid 20's it starts to clear up. let's hope.. I don't have problems with pimples. One will pop up every once in a while and if that happens, I just pop it :) As I have gotten older, my facial skin has gotten drier. I apply moisturizer and makeup at the same time to get more moisturizer. I'm in my early 40's and STILL suffering from acne. I've been on everything up to and including Acutane which was horrible - and only helped a little bit for a little while. I've read recently about using baking soda on my face as well. I will try it!! Thanks! I have had the same problem all my life. I was horrified once when my extremely un-tactful father-in-law made a comment about how my pink sweater matched my pimples. I wanted to die! I started using pro activ but it's expensive. Then I found Acne free at Costco and it works just as well. Honestly, after having my second baby my skin has changed dramatically. Of course so has everything else! I've never had an acne issue, not even as a teenager, and I know I'm among the "lucky" ones. I do however have very uneven and blotchy skin and would never dream of going outside without something on it. I've used MAC StudioFix on my face for the laste 14 years (I'm 31 now), and it is fantastic. 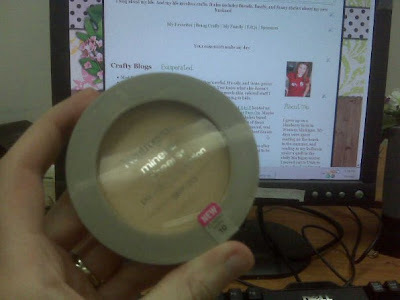 It's a powder, so it doesn't stick in crevices, its lightweight, but has very strong coverage. It doesn't last all day, but I reapply around lunch and I'm good to go! My mother is in her sixties, I in my forties, and I still get it. Yup wrinkles and acne at the same time. hi there! i happened to stumble upon this post when i was surfing the internet for something else. i felt like this post was written by me! (except you're a much better writer and if i had to write about my stupid "adult acne" i wouldn't have been able to inject even a tenth of humor into the situation that you did). i had acne as a teenager and i had it bad. bad enough that my doctor put me on the birth control pill to even it out. it worked for the most part! i've been off of it for the past 4 or 5 years while trying to have a baby and i cannot wait until we do so i can get back on the pill to get rid of this damn acne! my younger brother has really bad acne as well and i keep telling him to get on the pill. ;) he has yet to do so. just throwing the bc pill option out there. it's worth a try if you're not planning on having kids right away.